Color tests and screen fine-tuning for the expansion of our Limited Prints «Morbid Being». Form studies, color tests and screen fine-tuning for the Small Print Collection «Gentle Knife». Foraging on a secluded beach in California. 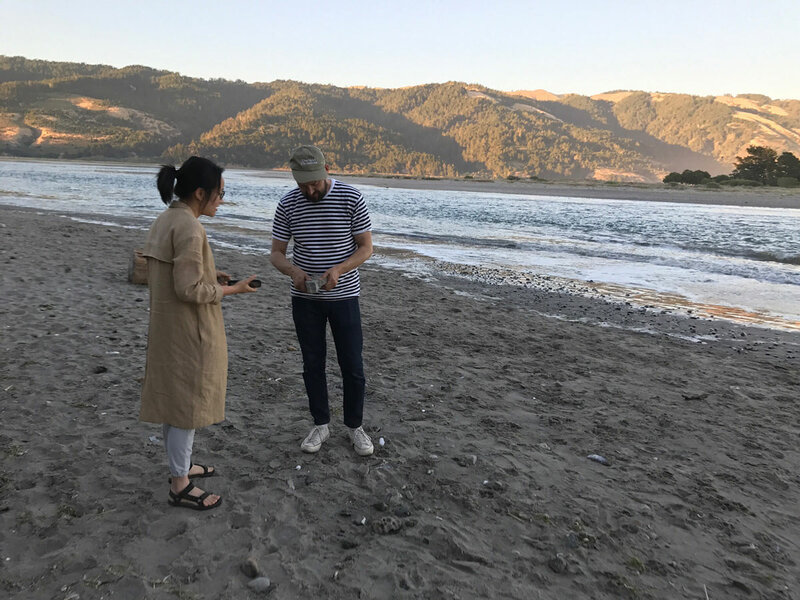 For our new Series «Pacific Marks» we are researching the relationship between stones and bivalves of the Pacific. Final decision for our new small print collection «Iridescence». Fine-tuning «Black Reflection», our new prints. It’s all about the details. Selection process at the print studio in Zurich.